A Japanese F-35 fighter crashed into the Pacific Ocean on Tuesday, raising questions about reliability and security of the most expensive weapons system ever made. The stealth jet disappeared from radar minutes into a training mission from Misawa Air Base in northern Japan. Defense officials said its pilot signaled the need to abort the mission shortly before the plane was lost. Japanese Defense Minister Takeshi Iwaya said debris from the plane, parts of its two tail fins, was found early Wednesday. Japanese and US planes and ships, including a US guided-missile destroyer, were continuing to search for the pilot, the Japanese Ministry of Defense said, adding that the unnamed aviator was a male in his 40s with more than 3,200 hours of flying experience. 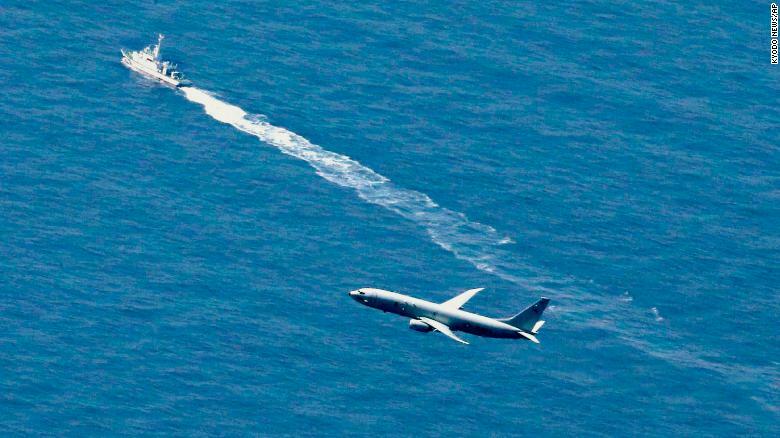 A Japan Coast Guard’s vessel and U.S. military plane search for a Japanese F-35 fighter jet, in the waters off Aomori, northern Japan on Wednesday. Japan’s first squadron of the $100 million fighter jets went operational just 11 days ago, with 13 of the jets forming the 302nd Squadron at the Misawa base, according to a report from The Diplomat.com. But early reports suggest system failure and that’s troubling because it might mean that something had been missed in the production process, said Carl Schuster, a former US Navy officer and professor at Hawaii Pacific University. 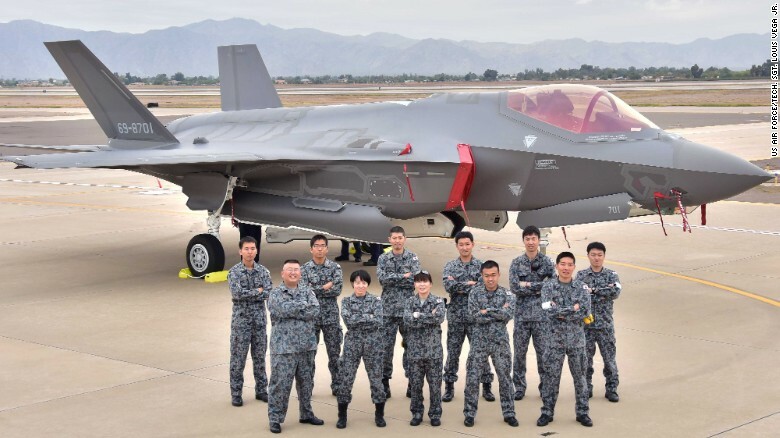 Japanese Air Self-Defense Force staff in 2016 in Arizona for the arrival of the first Japanese F-35A. While most F-35s are made in the United States, the one that crashed Tuesday was the first to come off an assembly line in Nagoya, Japan, the Japanese Ministry of Defense said. Peter Layton, a former Australian Air Force officer and analyst at the Griffith Asia Institute, said the Japanese assembly line would be one of the first places to look for answers. The Japanese jet, an F-35A model, is the second lost to an accident. A US Marine Corps F-35B crashed in Beaufort, South Carolina, in late September. US defense officials in October said a faulty fuel tube was the likely cause, and all F-35s operated by the United States and its allies were temporarily grounded for inspection. 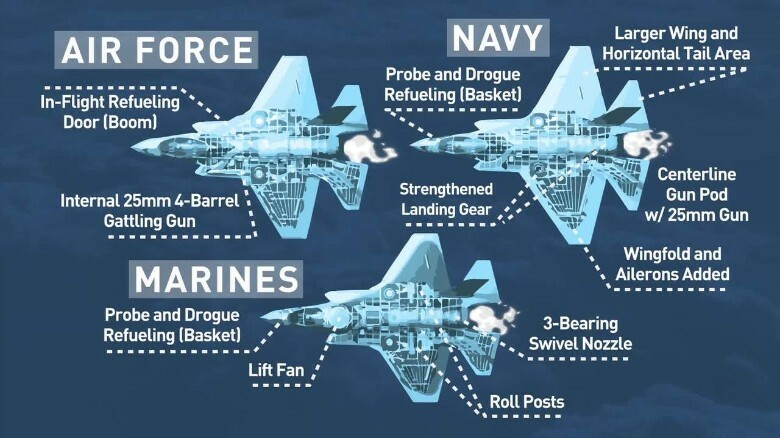 The F-35 comes in three versions. The one that went missing Tuesday is the Air Force’s F-35A model. All contain an advanced electronic warfare suite which can allow seamless integration among users within one military or among allies. Schuster recalled an incident in the 1980s when the US military rushed to recover the a US F-14 Tomcat — then one of the world’s best fighters — that had crashed in the Caribbean before any adversaries could get a close look at it. Tuesday’s crash is certainly a setback for Japan’s ambitious F-35 program. With 147 of the planes in its fleet or on order, Tokyo is Lockheed Martin’s second biggest customer for the plane. The F-35’s are seen as strong counters to China’s growing fleet of stealth aircraft, including the J-20 and J-31.